Our NetSuite tips are designed to help you get the most out of using NetSuite. This month’s guide is all about managing hard bounces and the importance of maintaining a clean email list. When an email fails to deliver, it ‘bounces’. There are many reasons an email can fail to be delivered. Some of the reasons for failed delivery are temporary and result in ‘soft bounces’, while a failed delivery that is the result of a permanent issue results in a ‘hard bounce’. Maintaining a clean mailing list is important in maximising the deliverability of your email campaigns, reducing the proportion of your emails being reported as spam, and building your reputation as a legitimate marketer with Internet Service Providers (ISPs). One of the most important ways a marketer can develop a positive sender reputation is by avoiding sending email to invalid email addresses. Careful management of your recipient lists not only improves your email campaign performance, but it also creates trust between you and those you do business with. How does NetSuite manage bounced emails? In NetSuite, when an email message returns an invalid address, or hard bounce, any records associated with that email address offer a warning that the email address is invalid. Here, you can manually remove email addresses from the list to include them in email campaigns once again. If your account is set to ‘never’, then bounced emails will stay on this list and therefore never be sent emails unless you manually remove them. Tip: You may still incur a charge for these messages, so you need to set “Hard Bounced is false” as a criterion when setting up your recipient groups. If your defined time is anything other than ‘never’ then they will removed from the list and therefore NetSuite will once again try to send emails to them. In addition to keeping track of hard bounced email addresses resulting from email marketing campaigns and mail merge, Netsuite tracks any address that has hard bounced from any email sent from NetSuite including transactional email. If your defined timescale to “remove email addresses from Bounced Email Address list after” is set to anything other than ‘never’ then you need to regularly check your bounced email list and unsubscribe those recipients so that NetSuite won’t try to re-send to these email addresses as soon as they are removed from the Bounced Email Address List. 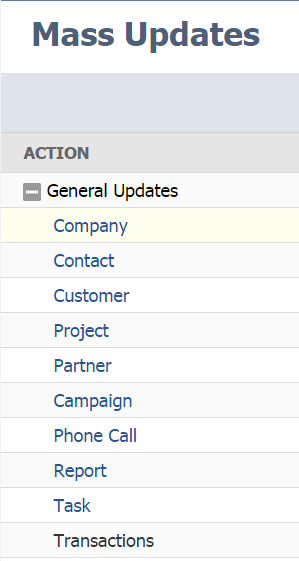 Even if your defined timescale to “remove email addresses from Bounced Email Address list after” is set to ‘never’, it’s still important to regularly look through the list because it might be that the email address of a particular recipient has been typed into NetSuite incorrectly, or perhaps that company has changed their email address format. Their bounce history will then be removed and you can continue to email them. If you have checked your Bounced Email Address List and you’re happy that there’s no one on there that should be receiving your email campaigns, then you can manually go into each recipient’s record and unsubscribe them. This means that they will never receive emails from you again, and will therefore stop triggering a hard bounce. Alternatively, if there are a number of email addresses that you wish to unsubscribe, then you can perform a mass update (see below). You can unsubscribe customers and others with invalid email addresses from email campaigns with a mass update. This mass update can be based on the ‘Hard Bounced’ field that is set on a record whenever email sent from NetSuite triggers a hard bounce. NetSuite’s email policies abide by the standards set by the Messaging Anti-Abuse Working Group (MAAWG). Campaign email that abides by their Terms of Service is sent with a higher priority than email that does not meet the criteria below. Maintaining a positive sender reputation leads to faster delivery. 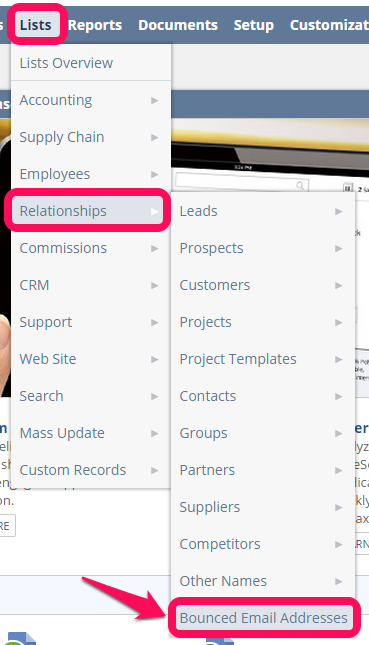 NetSuite recommends that you invite recipients to opt in to your campaigns. While you can send campaigns to recipients with the Soft Opt-In status, having recipients subscribe can increase the deliverability of your email. 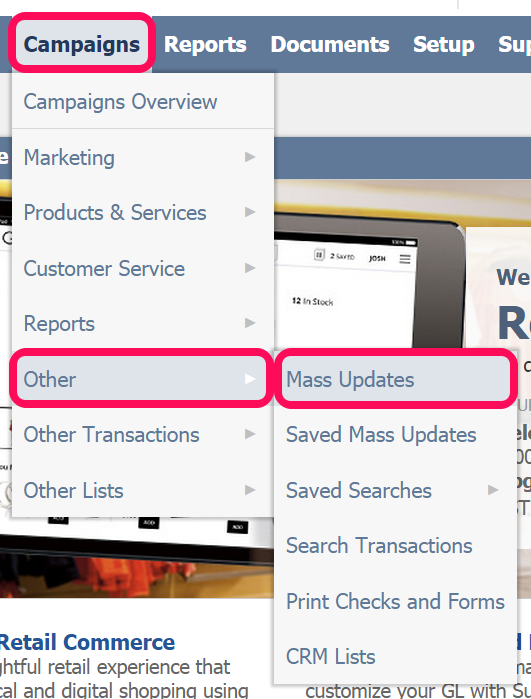 You can invite your customers to opt in by going to Campaigns > Other > Mass Updates. 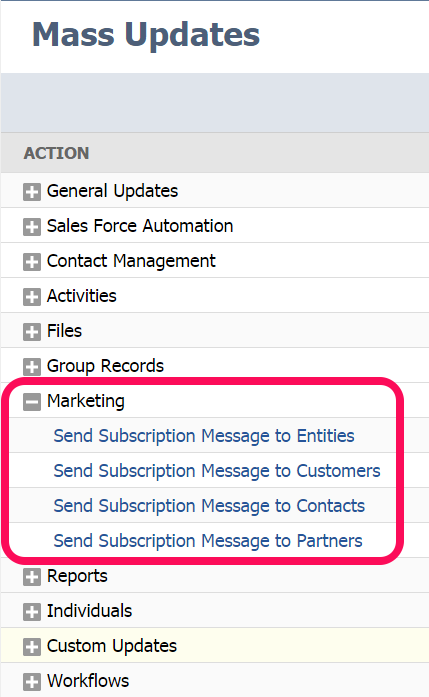 Under the Marketing heading, select the Send Subscription Message update you want to perform. Repeatedly sending email to an invalid email address damages your sender reputation. To help with this, NetSuite automatically logs when email messages return hard bounce responses and does not send email to those addresses for a designated period of time. To ensure that you only send email to valid email addresses, be sure you have set a suitable time increment for bounced email addresses at Setup > Company > Preferences > Set Up Printing, Fax & E-mail (Administrator). Sending to recipients who have confirmed that they want to receive your email is the most important factor in determining if your email meets the Marketing Automation Terms of Service. Note that you can send email campaigns to recipients with the status of Soft Opt-In, but your email might not be delivered as quickly or as successfully as it would be to Confirmed Opt-In customers. If you have set the “Remove email addresses from Bounced Email Addresses list after” preference, these email addresses are not sent email, but adding this criterion prevents you from incurring a charge for these messages. This filters recipients who have flagged your email as spam in the past. I hope this has been a helpful walkthrough for managing hard bounces and maintaining a clean mailing list in NetSuite. If you would like to find out more about how NetSuite works, please don’t hesitate to get in touch with our team of experts or view our other ‘NetSuite tips’ guides below. Oh my goodness! Incredible article dude! Thanks, However I am experiencing problems with your RSS. I don’t understand why I can’t subscribe to it. Is there anyone else getting identical RSS problems? Anyone who knows the solution can you kindly respond? Thanks! !